Sipping a glass of sauvignon blanc or tasting a flight of merlot, listening to music, laughing with friends – what’s not to like? 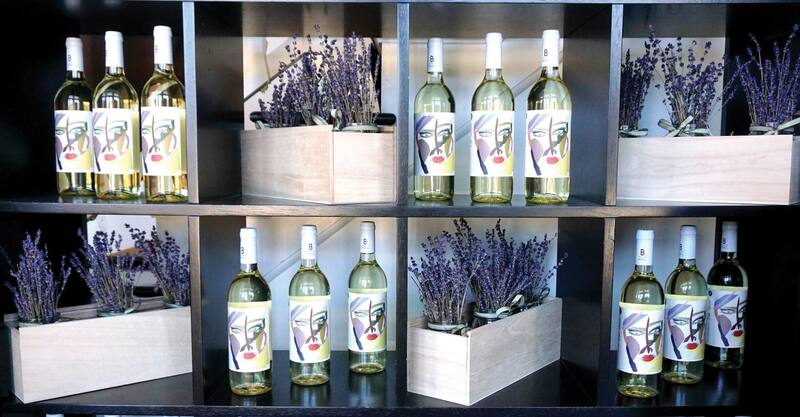 Drinking Long Island wine straight from the source is definitely the most popular activity on the North Fork. 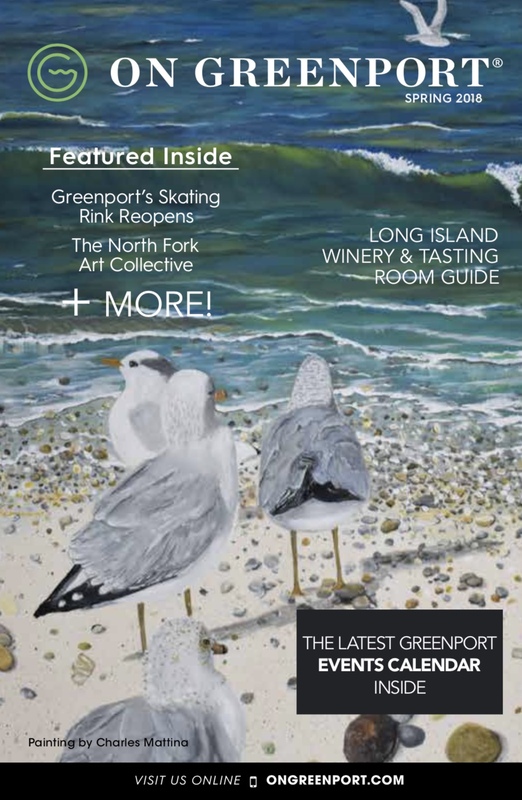 The Long Island wine region is regularly promoted as a top wine destination by the likes of Wine Spectator, Condé Nast, Time Out, and countless other media outlets. An estimated 1.3 million people visit its 50 or so wineries and tasting rooms every year. Driving this success and notoriety are the world-class wines made from vinifera grapes like chardonnay and cabernet franc, in styles that range from serious barrel-aged reds, to dry, trendy rosés, to méthode champenoise sparkling wines. Indeed, it’s great fun to explore Long Island Wine Country because every winery and tasting room has its own unique character and offers a different experience. The small, artisanal operations have passionate, knowledgeable owners who are usually happy to chat, especially if you go during the week. What great names, too; Coffee Pot Cellars, Sannino Bella Vita, Mattebella, Diliberto, One Woman, McCall, Channing Daughters, Waters Crest Winery, The Old Field, Scarola, Pugliese, Lieb, Roanoke on Love Lane and Croteaux. One Woman, for example, is literally a barn where mother/daughter team Claudia and Gabrielle Purita make their unique wines, including a hard-to-find grüner veltliner. … it’s great fun to explore Long Island Wine Country because every winery and tasting room has its own unique character and offers a different experience. Some wineries are large, with lively tasting rooms, music, food and plenty of outdoor seating; these include Duck Walk North and South, Pindar Jamesport Vineyards, Osprey’s Dominion, Pellegrini, Palmer, Baiting Hollow Farm, Harbes, Jason’s Vineyard and Raphael. They usually attract a fun crowd, and many will take reservations for larger groups. Pindar Vineyards was the first of the large wineries to really get on the map, and is still one of the most popular, with wines that cater to a broad range of tastes. Most places fall somewhere in between, offering a relatively calm tasting room atmosphere and outdoor relaxation with live music and even table service. They include Clovis Point, Paumanok, Bedell, Bedell at Corey Creek, Shinn Estate, Harmony, Bridge Lane, Lieb, Castello di Borghese, McCall, Wölffer, Channing Daughters, Kontokosta, Lenz, Sherwood House, Macari, Laurel Lake and Sparkling Pointe. 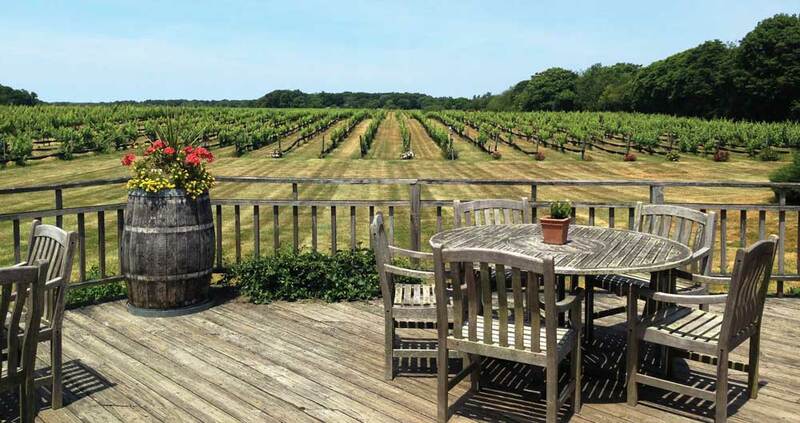 The farthest winery east is Kontokosta, a stunning, rustic-modern place on a high bluff overlooking the Long Island Sound. For those on the hunt for winemakers’ own labels, like Anthony Nappa Wines, T’Jara, Suhru, Race Wines, Leo Family, Salt Bird Cellars and Influence, they can be found together at The Winemaker Studio. If sweet wine slushies and a loud DJ appeal, there’s Vineyard 48. Wineries are busy on the weekends, as are the roads, and alcohol is involved. To ensure a safe, successful day, it’s important to plan. Realistically, you will taste one flight of five wines (approx. 5 or 6 ounces total, or a standard wineglass pour) at each winery; three to five wineries will easily fill the day. If you want to just relax and drink wines by the glass, then expect to visit only two or three wineries. Set a purchase budget because you will fall in love with the wines! Don’t forget to eat breakfast and lunch and drink water; it’s not fun to end up intoxicated, dehydrated and hungry by the end of the day. Reserve a restaurant for an early dinner as walk-in wait times can be well over an hour. And there’s no getting around the fact that you have to designate or hire a driver. Yes, a lot of rules! But take it in stride, wine tasting is for adults after all. Get out there, be safe, and have fun reveling in Long Island Wine Country.